Last night we baby sat our boys while mom and dad went to a special event. Great grandparents helped out. Is this the cutie with the skeptic look? Aww poor kiddos, I hope they feel better soon! The thought of having twins seems hard, but the thought of having sick twins is 10x more intimidating! You are, and have, such blessings Lyn. He has that little spot on his cheek that I call the “kissy spot” – perfect for a kiss. Babies are the most precious thing on God’s green earth! So sweet. I would love to hug my screen, but I think something would be lost in the process. Precious I can’t wait for my new one to arrive. So precious! 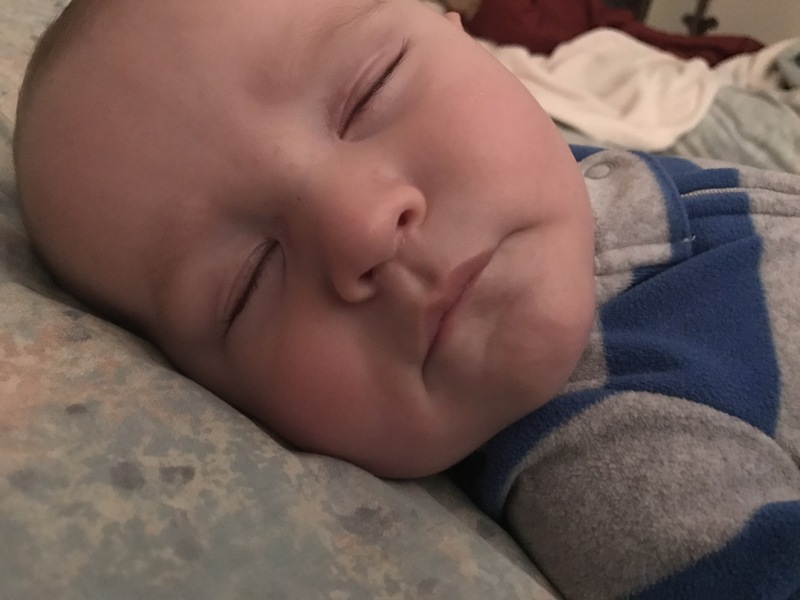 A sleeping baby is so innocent and pure! I’m sure you had a wonderful time with the babies! I hope they were well-behaved! I hope they’re feeling better now! I think they are! Poor little guys had a virus and then ear infection etc. yes poor little guys they really were very sweet! So sweet 😀 I know they are thankful to have you all! Such a blessing for all of us!